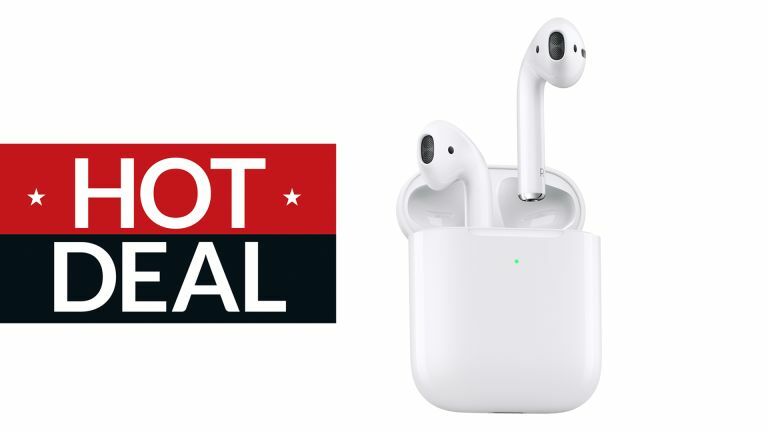 Apple says its AirPods are 'the world’s most popular true wireless headphones' – probably true – and that they are 'getting even better' – and that's definitely true with the launch of AirPods 2 (although they are not actually called that; they're just 2019 AirPods or the new AirPods). The headline news here is that AirPods 2 have optional wireless charging (as in, the battery case they come in can itself be charged wirelessly), but you'll need to pay £40 extra to get a special wireless case. Also on board the new AirPods: Siri summoned just by saying 'Hey Siri!' and very slightly longer battery life with '50% more talk time'. Owners of the original AirPods can also upgrade to the wireless case for a trifling, excuse me while I check my notes… £79? Gosh. This comes hot on the heels of the unveiling of new iPads and new and '2x as powerful' 2019 iMacs and seems to be part of a new Apple trend of just introducing updates via press releases rather than lengthy events. What's next?! Everything lined up for Monday March 25's next Apple Event: It's Show Time! 'AirPods delivered a magical wireless experience and have become one of the most beloved products we’ve ever made. They connect easily with all of your devices, and provide crystal clear sound and intuitive, innovative control of your music and audio,' boomed Phil Schiller, Apple’s senior vice president of Worldwide Marketing. He also hailed the 'convenience' of the new wireless case. The new AirPods come with either the standard charging case or the new Wireless Charging Case. The AirPods can go for 5 hours of music playback and 3 hours of 'talk time'. Both available cases hold additional charges for more than 24 hours of total listening time. On the one hand, that is better than most rival true wireless buds. On the other hand, it's also exactly the same as the first-gen AirPods except you get 1 more hour of talk time – 3 hours instead of 2. Somehow, '1 more hour' sounds less impressive than the '50% more' Apple has chosen to go with. Presumably Apple has wrung this extra efficiency out thanks to the H1 chip – perhaps by better compression or something like that. The Wireless Charging Case can itself be charged up via any Qi-compatible pad, while 'an LED light indicator located on the front of the case conveniently shows the charge status with just a glance'. You can add a personal engraving for free during checkout. Woop! We'll have a review up ASAP but basically they're AirPods, but a little bit better. The battery life bump is more useful than not needing to touch your ear to use Siri or being able to wireless charge the, er, charger. Now, how about those over-ear headphones people keep talking about, Apple?